Before the general public learned about the ozone layer and its fragile state, society ran rampant with refrigeration and other cooling methods. After all, it was postwar America, and we were going to live it up in high, comfortable style. Little did we know that our pervasive use of chlorofluorocarbons was tearing a potentially fatal-sized hole in our Earth’s valuable buffer zone. Then came the 1980s. A small glimmer of environmental enlightenment pushed world leaders to convene, sign the Montreal Protocol and universally ratify it. This momentous development phased out the use of chlorofluorocarbons due to the harmful chlorine they release when heated up in the atmosphere. But, like we said, it was the 1980s, and no one was about to give up the convenience associated with central air conditioning units and refrigerated casserole left-overs. So, we replaced CFCs with another kind of halocarbon gas that has just as many syllables but left the ozone layer intact: hydrofluorocarbons. Now, HFCs are being used in everything from refrigerators and A/Cs to insulation and heat pumps. 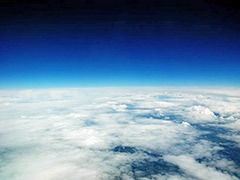 Scientists also say that HFCs have several hundred times more “global warming potential” than carbon dioxide. Therefore, thirty-five nations and the European Union decided to curb hydrofluorocarbons following the recent G20 summit in St. Petersburg, Russia. Plus, President Obama and President Xi of China agreed to limit the greenhouse gases earlier this year. So, what is going to replace hydrofluorocarbons? Oddly enough, it seems as if agreeing on solutions and alternatives for widespread implementation is going to be the biggest obstacle here. Some people recommend super insulated low voltage refrigerators and freezers while others believe AC units are the only culprit worth considering. With environmental issues, there’s always so much spin (from news sources and word-of-mouth), and every side is always super passionate. But, sometimes, it’s the dialogue that stalls progress. Is it possible that politicians are ahead of the general public in this case? Posted on September 18th under Pollution Reduction.